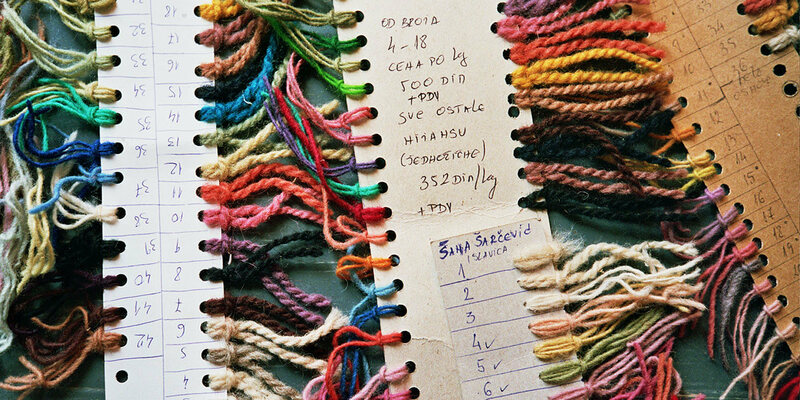 Traditional handweaving in the Balkans was never just a handcraft technique, it was an essential component of the everyday, of social interactions and cultural identity of the area. Pirot, a town in the southeast of Serbia close to the Bulgarian border, is the cradle of this unfortunately fading craft. That is why the looms around Pirot households are considered as some of the most important representations of social life. 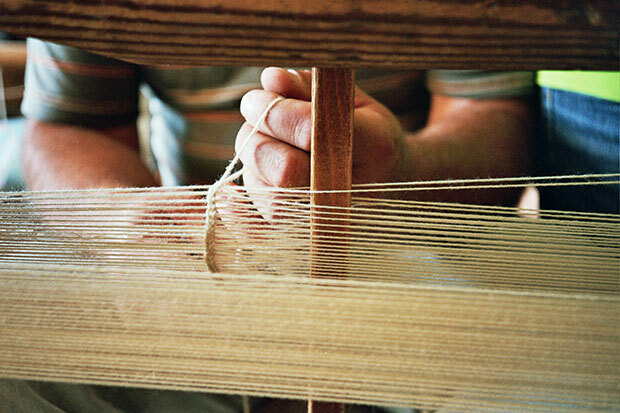 Traditional looms took on meanings that were recognizable in the community they were used in – they were a signifier of status, as well as religious or national identity in the multi-ethnic settlements, and thus were important for the reproduction of social relationships within the communities. 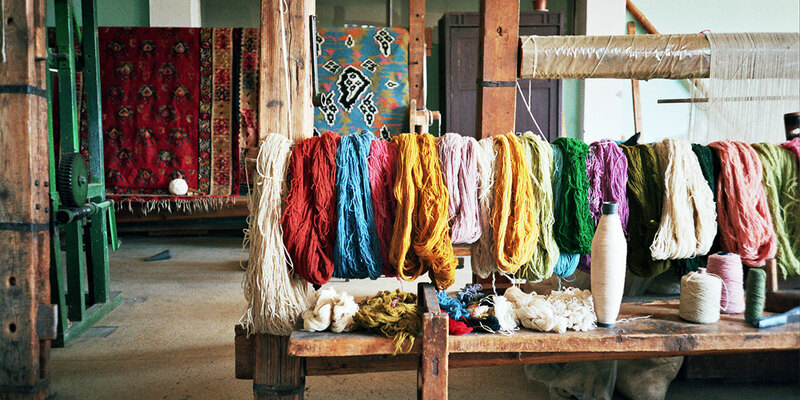 Continual production of kilims and other functional and decorative household cloths in Pirot dates all the way back to the 16th century. 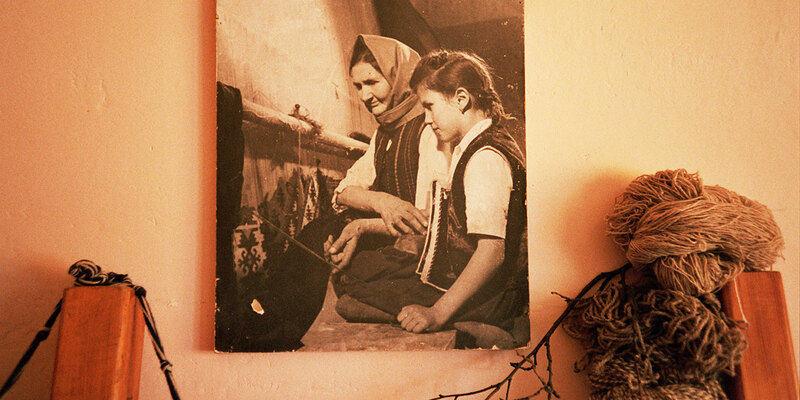 Dragan Panić and his wife Lela are nurturing a legacy that was established in 1902 as the Ponišavlje Cooperative, which preceded the Ćilim Workshop that they run today. The once very lucrative craft is slowly dying out, but the spark is still maintained by Dragan and a handful of local entrepreneurs and masters of the craft. 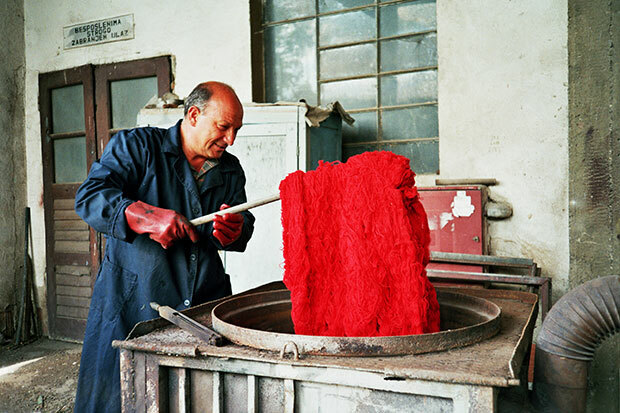 These unique handmade products used to be regularly shipped to Istanbul, and were also exported to most European countries. 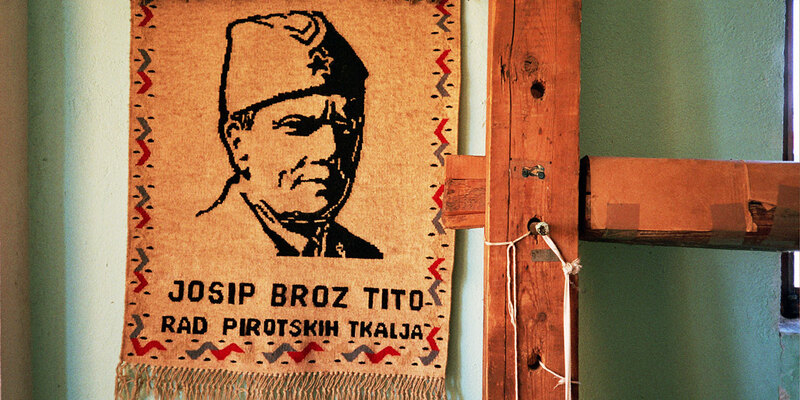 The special quality of kilims from Pirot relied on the supreme wool collected from the sheperds from Stara Planina (Old Mountain), and durable hemp base. Dragan and the community of women who are working in his traditional workshop are using the same tools and techniques as was the case centuries ago. 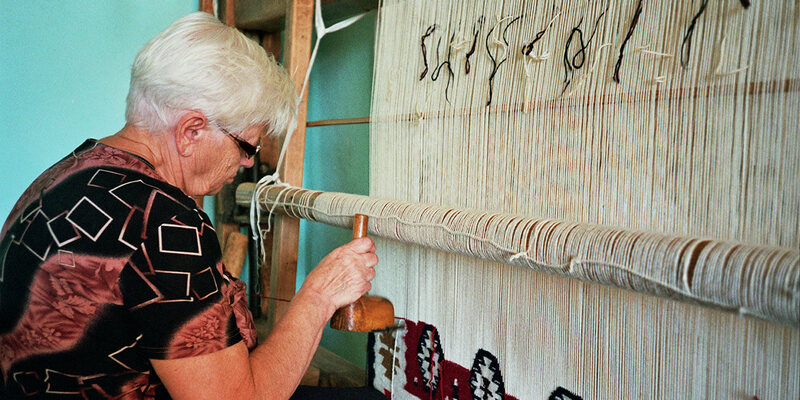 In those days items such as the hand-woven trails made by Folkk were the most important decorative elements in households. 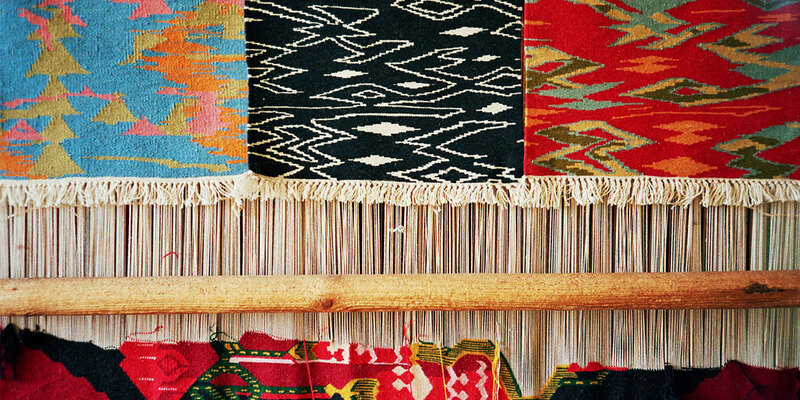 Genuinely traditional in their nature, way of making and visual appeal, the kilim patterns of Pirot carry something recognizably contemporary: textural language, bold colors and exciting patterns. It does not surprise to know that they were presented at a number of world expos throughout the 20th century, starting with the one in Paris in 1892. The unique folklore stories weaved into the threads of these divine objects have an expected appeal for the followers of contemporary visual culture and the ones who respect the irreplaceable quality of handwork. 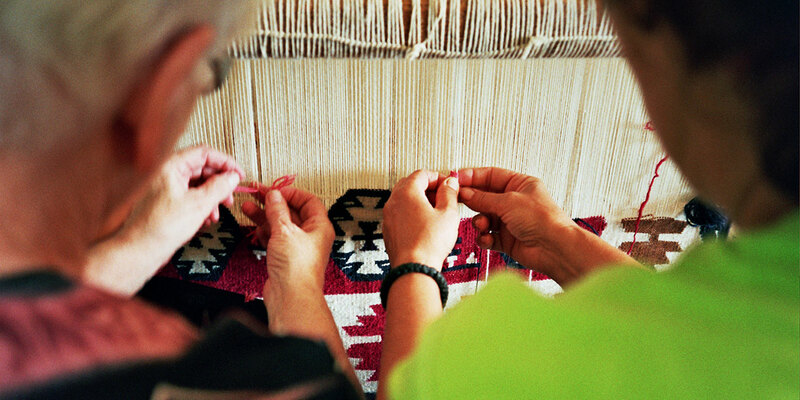 What makes these items so invaluable is the unsurpassed quality of the hand-making – it takes about one month for a skilled weaver to produce a single square meter of kilim. The painstaking work and the time invested unavoidably show in the end product – a meticulous labor of love and dedication that no industrial object can surpass. Completed by cutting-edge pattern designs of Emir Šehanović, Folkk trails and pillows produced at Ćilim Workshop a perfect bridge between the traditional craft and a modern visual language.